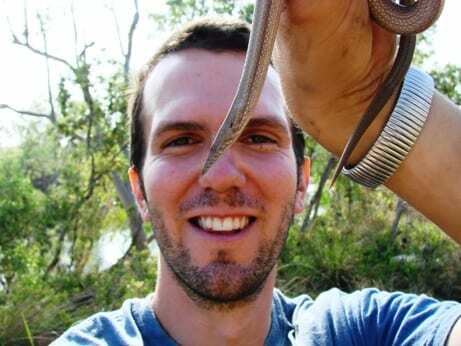 From April 2010 I spent about five months undertaking several zoological field projects across Australia. I worked with government agencies, universities and NGOs on conservation and ecology studies ranging from Tasmanian devil facial tumour disease, the effect of fire, rain and introduced predators on desert ecology and how to poison cats. This series of blog posts is a delayed account of my time in the field. Tarot and Ancient Egypt – A Connection? “A language in itself, a book of occult wisdom, a mode of communication invented by the Ancients that reaches us today despite centuries of persecution, distortion and neglect…A coded system linked directly to Astrology, gnosticism, alchemy, ritual magic and Qabala… The Tarot is a mirror and a map of the soul reflecting the entire spectrum of human experience. How wild is that animal? After about three months of back-to-back field projects, I decided to take some time off and visit Tropical North Queensland with some friends for a few weeks. Unlike the majority of the field work we spent pretty much all of our time looking for wild animals without trapping them. On Monday UCL Art Collections opened Moreover, an exhibition featuring the final results to our third annual invitation to the Slade to revisit the past masters and create new works in response. We have several boxes of stuff that we lend to schools. Not any old stuff of course, these are boxes containing some great objects from the collections, including one box that contains 15 objects from Ancient Greece that are part of our Archaeology Collections. 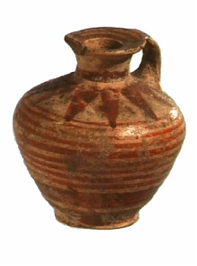 There are metal animals and figurative pieces including a ceramic woman; there are decorated potsherds – broken pieces of pottery – as well as a couple of whole jugs. These objects are roughly two and a half thousand years old and were used in a variety of domestic circumstances in different parts of the Grecian world, by people who we can imagine had not the slightest inkling of where that old jug that Daddy broke when he’d been at the retsina would end up. The objects have this history, the history of their creation and use in their original context, and they have the history of their discovery and excavation, followed by their journey into our collection. They were brought together as a teaching collection about ten years ago, with the purpose of using them to help Primary School teachers when their class is learning the History topic What was life like in Ancient Greece? This week I’ll take a break from my delayed account of last year’s fieldwork because I’m back in Tasmania out in the field with the University of Tasmania’s School of Zoology. Rejoining the project I was on last year, looking at the ecosystem effects of the massive crash in the Tasmanian devil population, this field trip is slightly less glamorous than trapping the devils, partly because they are practically extinct here up in the northeast of the island, where contagious cancer first appeared 15 years ago. What we’ve been doing is counting sultanas – it doesn’t actually involve setting eyes on a single animal (apart from millions of ants), but intriguing all the same. Typecast Today? News and Opinion on Genetics, Heredity and Race. . . 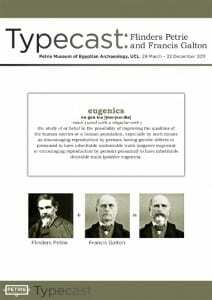 The exhibition Typecast opened at the Petrie Museum last week and we officially open together with the UCL Library’s Francis Galton: An Enquiring Mind tomorrow evening. Whilst I was preparing the ‘private view’ information a few cursory clicks on google brought up the following headlines around ‘genetics’, ‘breeding’, ‘family tree’ . 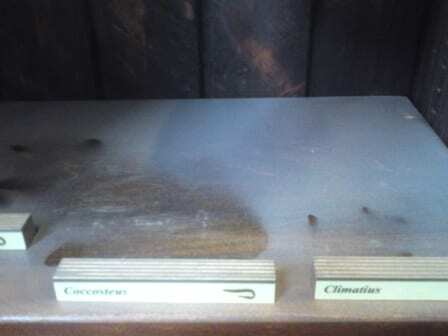 . .
A mere two weeks after we open heavy demolition work in the basement underneath the Grant Museum kicks up plaster dust inside the display cases. Nobody is to blame in particular but I thought I’d share these images to get the dust out of my system (and our cases). If only dust had some kind of market value? 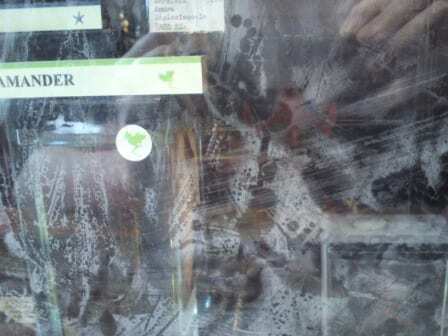 Actually we could pretend that this is a collaborative effort with the Wellcome Collection's current exhibition Dirt.